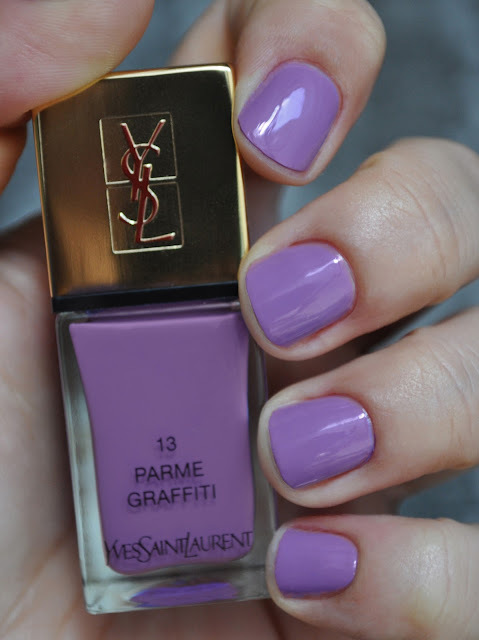 Can I tell you that I'm REALLY loving the new formula of the Yves Saint Laurent La Laque Couture Nail Lacquers! The formula is pure heaven, almost achieving total opacity with one coat..this polish truly applies like a dream. Not to be out done by the formula, the brush is A.M.A.Z.I.N.G! It fans out beautifully, to ensure a smooth and even application. 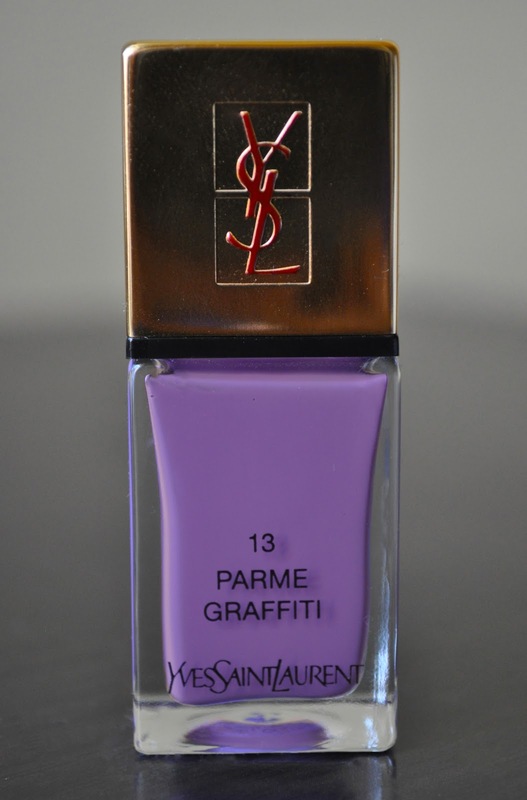 13 parme graffiti is a muted, red-based, medium purple cream polish. I've been wearing Parme Graffiti for three days now, and It hasn't chipped yet. Have your tried any of the Yves Saint Laurent La Laque Couture Nail Lacquers?